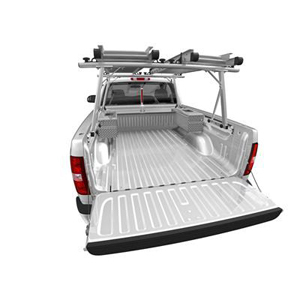 Add cargo management versatility to your Silverado with this Overhead Utility Rack that flips down and can serve as a bed divider. Attaches and slides on the Cargo Management System rails. Requires a center high mounted stop lamp (CHMSL, part number 19165908). Cargo and load capacity limited by weight and distribution. Secure loose items before driving.